The definitive 25th-anniversay edition of Burroughs's legendary second novel. 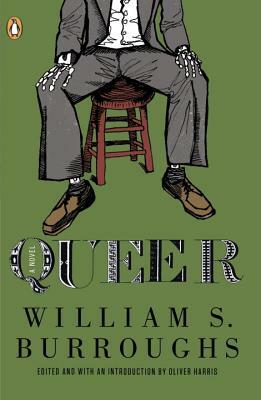 Originally written in 1952 but not published till 1985, Queer is an enigma-both an unflinching autobiographical self-portrait and a coruscatingly political novel, Burroughs' only realist love story and a montage of comic-grotesque fantasies that paved the way for his masterpiece, Naked Lunch. Set in Mexico City during the early fifties, Queer follows William Lee's hopeless pursuit of desire from bar to bar in the American expatriate scene. As Lee breaks down, the trademark Burroughsian voice emerges, a maniacal mix of self- lacerating humor and the ugly American at his ugliest. A haunting tale of possession and exorcism, Queer is also a novel with a history of secrets, as this new edition reveals. William S. Burroughs (1914-1997)—guru of the Beat Generation, controversial éminence grise of the international avant-garde, dark prophet, and blackest of black humor satirists—had a range of influence rivaled by few post-World War II writers. His many books include Naked Lunch, Queer, Exterminator!, The Cat Inside, The Western Lands, and Interzone. Oliver Harris edited The Letters of William S. Burroughs 1945-1959. He is currently a lecturer in American Literature at the University of Keele.